The Matrix C.O.C is a volunteer based organization. We rely heavily on volunteers to help keep operational cost to a bare minimum. There are no minimum hourly requirements, you are free to volunteer at your convenience. Our programs allow for volunteers of all ages, physical ability and skill level. If you are interested in volunteering with the Matrix please click on the link below. 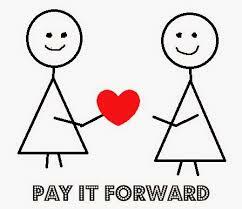 Pay it forward is an expression for describing the beneficiary of a good deed repaying it to others instead of to the original benefactor. The Matrix C.O.C operates all of its assistance programs based on this model. Clients receiving assistance are encouraged to Pay It Forward by volunteering x amount of hours based on the monetary value of the assistance they received. Have you been assigned community service hours by a court as part of your probation or sentence? Do you need service hours for school as a requirement for a class or for graduation? No matter the reason you have been assigned community service hours, there are a lot of options for you to complete your required service. The Matrix C.O.C can provide you with the opportunity to complete your required hours while helping to give back to your community. With busy lives, it can be hard to find time to volunteer. However, the benefits of volunteering are enormous to you, your family and your community. Volunteering helps connect you with others, its good for mind and body. Volunteering can also help to advance your career, and bring fulfillment.